THE last time Meralco played in a championship match, Baser Amer was still playing back-up to chief playmaker Jimmy Alapag. Now that he's playing the lead role for the Bolts, Amer admits pressure is beginning to kick in days before their PBA Governors's Cup finals rematch with Ginebra. "Meron naman. 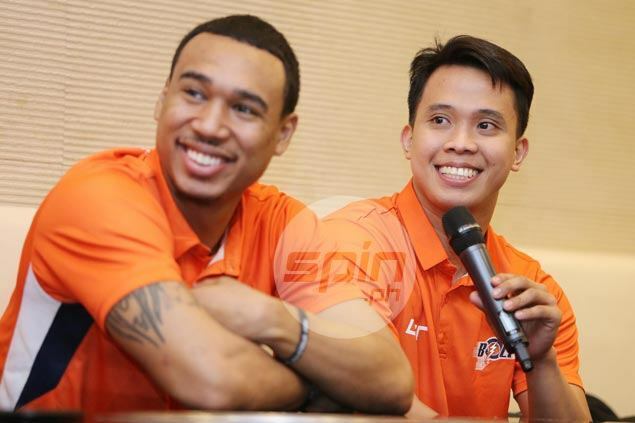 Hindi mawawala yun (pressure)," he said during the finals presser on Tuesday. But Amer said the wisdom he has acquired under the tutelage of the PBA legend will go a long way as the Bolts look to exact revenge on the defending champions. The former San Beda standout is even more confident in his team’s chances, especially with veteran Ranidel De Ocampo on board. "Yung last year na Finals namin, first time namin yun. Wala kaming experience nun pero ngayon na pangalawang Finals namin, alam na namin kung paano laro ng Finals," the 5-10 cager said. "May mga bagong players kami. Ang laki ng tulong nila sa'min. It will be a long series talaga kasi alam na namin yung laro ng bawat isa sa'min." With the best-of-seven affair kicking off on Friday, the Davao native couldn't help but be thrilled to return to the biggest stage of the season-ending conference against the biggest team in the league. "Magandang match-up 'to. Advantage namin is kailangan namin sila takbuhan kasi malalaki sila," he said.